New Honda Activa is a reliable family scooter with unmatched built quality and cutting edge technology. Read the review to explore the features, technical specifications & price. The much popular Honda Activa now arrives in new look and design in its train of updating new versions. With the introduction of this new incarnation, Honda Motorcycle and Scooter India Pvt. Ltd. (HMSI) is likely to stop the geared scooter segment rather focussing on the gearless scooter market. 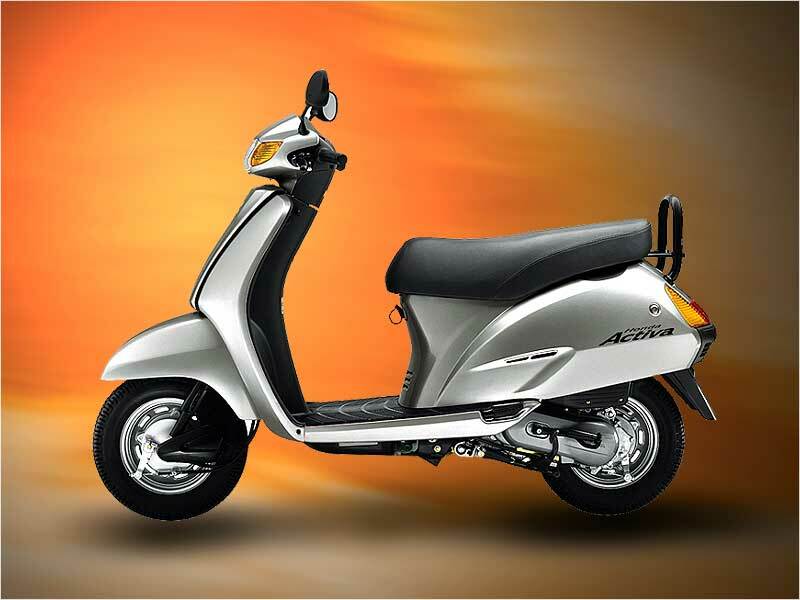 The new version is slotted with 110cc engine and comes in two models, Activa Standard and Activa Delux. The HMSI Head ( sales and Marketing), N.K. Rattan said, "Though under test conditions we have got a mileage of 64 km a litre, it will give 55 km a litre to customers. 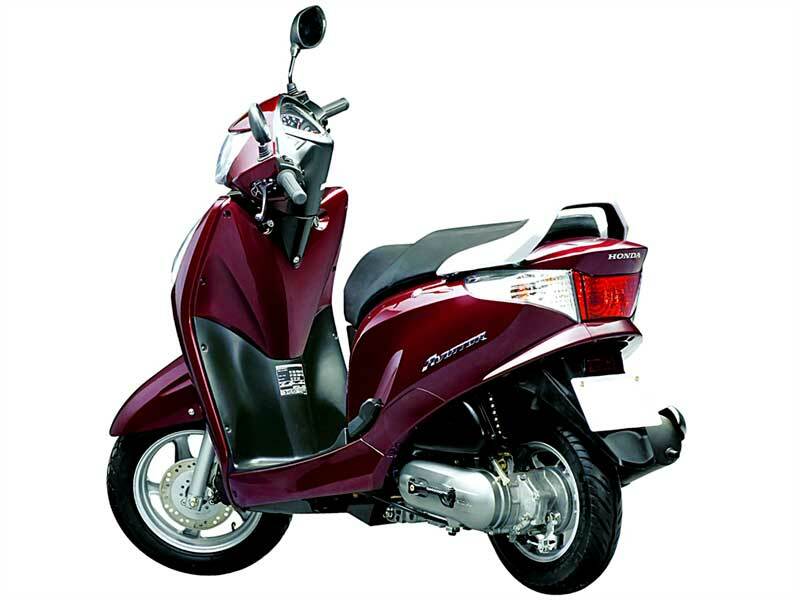 We hope to sell 5.50 lakh new Activa in 2009-10. HMSI president and CEO Shinji Aoyama further added, "We will stop producing Eterno and completely come out of the geared scooter segment to focus more on the fast-growing gearless market." HMSI has set a sale target of 12.5 lakh units in 2009-10 out of which 7.5 lakh will be scooters and 5.1 lakh will be motorcycles with the speculation of 17 percent growth in the current financial year. New Activa is powered by 109cc 4-stroke engine pumping out 8 Bhp at 7500 rpm with maximum torque of 9Nm at 5500 rpm. The fuel tank capacity of Activa has been trimmed down to 5.3 litres because of the bigger engine. The new engine finds 15 percent increase of mileage through the cutting edge technology. Honda New Activa has been jazzed up with the front and rear section. The front now sports curvy and aerodynamic styling with the new redesigned headlamp. The rear section is refreshed by the clear lens turn indicators. It has also used impact resistant ABS plastic panels to reduce the overall weight of the family scooter. It has now 109cc 4 stroke 8 bhp engine and it owns new combined braking system. The Honda CBS is for safety and whenever the rear brake is operated CBS stimulates front braking force. Beautifully carved out feature is the recess under the seat that can even accommodate helmet or anything we want to put inside. Now it has a tweaked length and breadth of 1761mm and 710mm respectively instead of the earlier 1765mm and 715mm. This new scooter has now grown 17mm taller with the new saddle height of 765mm vis-a-vis the earlier 760mm. New Activa is one of the most reliable scooters proved by its unmatched build quality. Its tyres have doubled layered tubes with fluid in between and this seals the air leakage in case of a puncture offering the trouble-free ride. It comes loaded with an auto and kick start mechanism with automatic gear transmission giving maximum speed of 80 kmph. It has got a convenient lift-up engine cover that makes routine maintenance fast and hassle free. The multi-reflector headlamp makes night ride safe and comfortable. 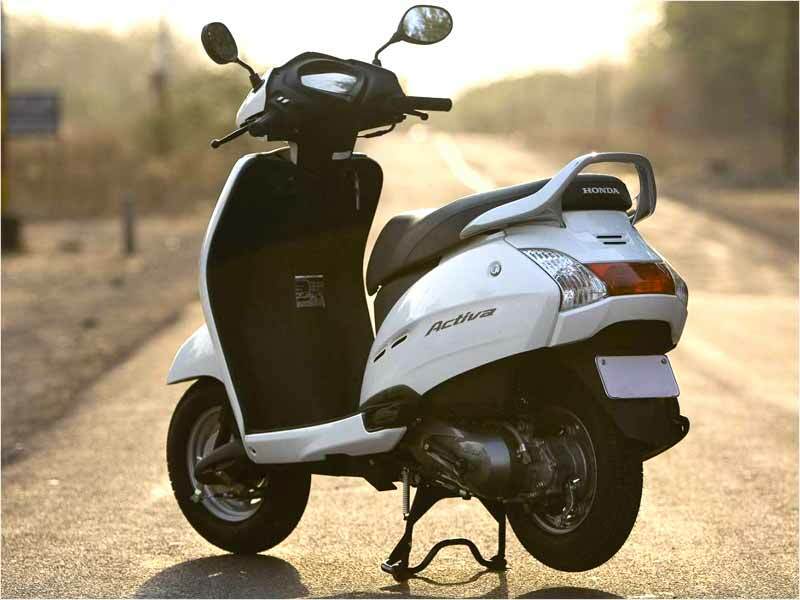 This new scooter outdoes its counterparts such as Suzuki Access, Bajaj Kristal and Kinetic SYM Flyte in the field of reliability and overall quality. Launched as the first scooter of Honda Group in India, Honda Activa renders a mileage of 45-48 km/l. The New Activa is available in six color options: Grey Metallic, Candy Lucid Red, Mettalic Black, Force Silver Metallic, Wild Purple Metallic and Pearl Sunbeam White. It comes in 2 variants � Standard and Deluxe.